We believe that the work of Dr. King is not something that is restricted to the past. There are people all around us who reflect the legacy of Dr. King in the work and service they give to others every day. 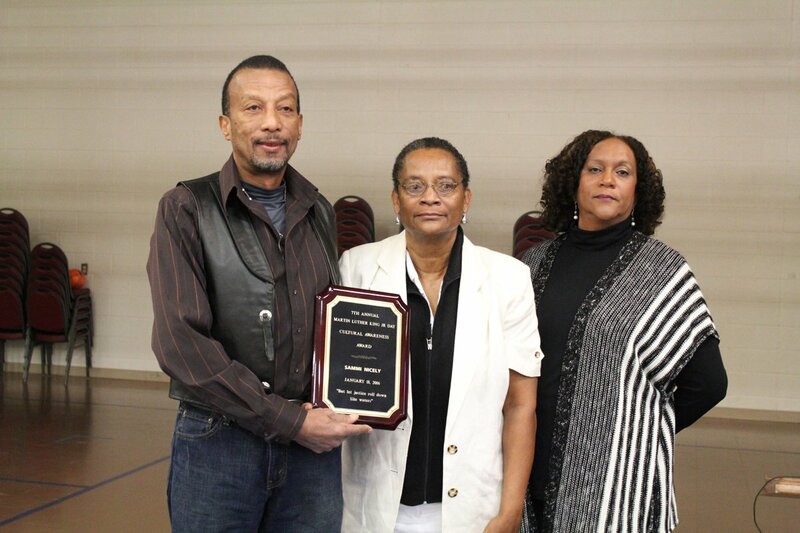 Calvin Nicely receives the posthumously awarded 2016 Dr. Martin Luther King, Jr. Community Award for Advancing Cultural on Awareness on behalf of his brother, Sammie Nicely. 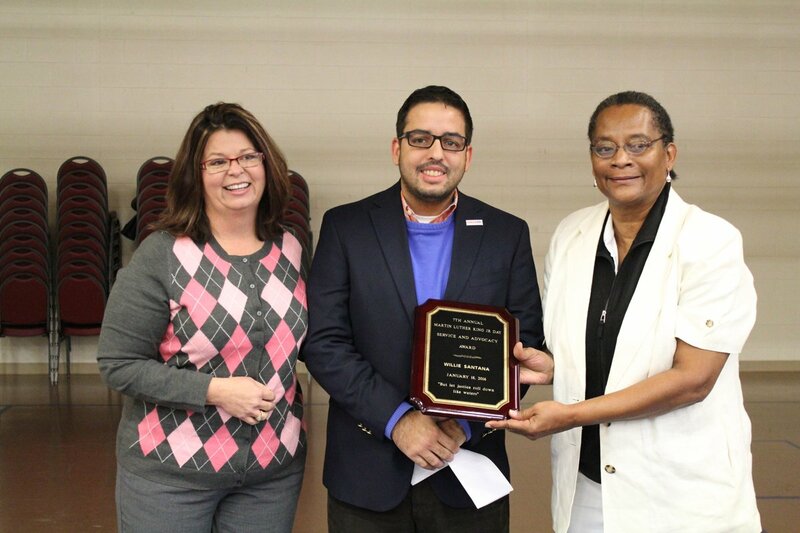 Willie Santana, Esq, Assistant to the Knoxville area DA, receives the 2016 Dr. MArtin Luther King, Jr Award for Service and Advocacy.